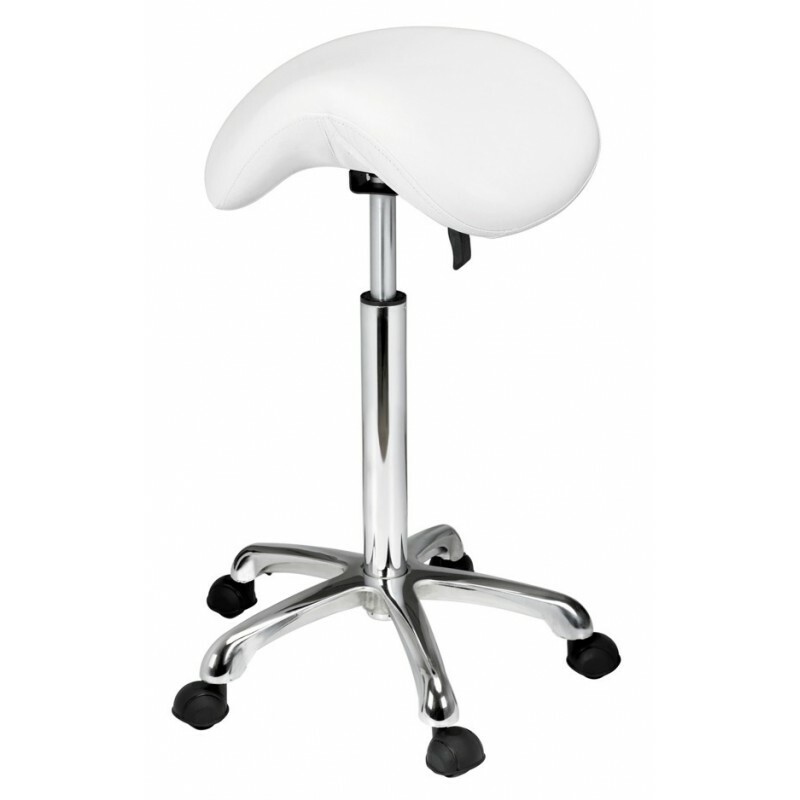 Elegant stool ergonomically designed with a saddle-shaped seat to ensure maximum comfort. It is equipped with a gas lift to adjust height. Upholstered in high-quality PU. Highly stable 5-wheel base.